If you are looking for Irish genealogists for hire, then you’ve found us. We are a group of 30 professional genealogists and we have well over 15+ years experience in Irish genealogy research area. Plus, we are absolutely the best priced professional genealogy research company who is focused on helping individuals just like you. When it comes to our service, you will be impress. During the entire research process you while work side-by-side with our irish genealogists; witnessing the mysteries that they uncover. If you’ve hit a roadblock in your research our Irish genealogists are available for hire. Our Irish genealogists are also available if you are just starting out. Yes, hire a professional Irish genealogist to find answers to your Irish genealogy questions. We are experts at retrieving records from Irish repositories or research the history of your Irish family homes. 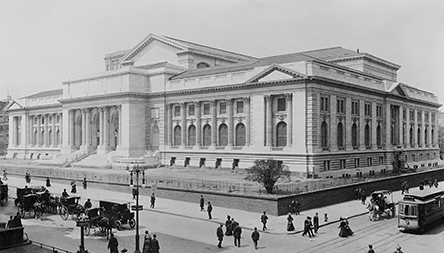 Some of the massively huge libraries, such as the Library of Congress or the main branch of the New York Public Library, can boggle the mind. Most libraries are modest, serving small towns and rural areas. If, however, that small town or rural area is where a special family lived, the library is a good place for a family history researcher to find out about where their ancestors lived. Even in some place, or especially in some place, like Ireland. Does Irish Genealogy Use Only Genealogical Records from Ireland? St. Patrick’s Day has come upon us, so this RecordClick Irish genealogy expert thought it might be fun to do a family history search of an Irishman. One of my favorites was actor Barry Fitzgerald. His accent and manner in both “Going My Way” and “The Quiet Man” movies delight me. On screen, he comes across as a small and spry man with a wry sense of humor. While delving to learn more about him, I found a variety of sources useful to almost anyone who is finding family history. To begin with, Barry Fitzgerald wasn’t really Barry Fitzgerald. He was born William Joseph Shields on the tenth of March, 1888 in Dublin, Ireland, the fifth of seven children. Parents Adolphus Shields and Fanny Ungerland Shields were not exactly typical parents for that period of time and had some interesting travels. Adolphus and Fanny believed in education and William went on to complete four years of college. He worked 20 years as a civil servant before he discovered acting. He took an interest in the theater and created his stage name, Barry Fitzgerald, so those he worked with during the day wouldn’t discover what he was doing at night. He didn’t make acting a full time career until 1929. By the mid-1930s, he was drawn to another country. So, this professional Irish genealogist next “went to” the United States to follow Barry Fitzgerald’s Irish family history. The U.S. genealogy portion of our actor’s trip takes us to where he settled next and began performing in movies and on the Broadway stage. Fitzgerald’s slight height, 5’4 1/2”, served him well making him seem something of an Irish leprechaun in some of his roles. The involvement in movies and plays in the United States enticed him to start the immigration process by completing a Declaration of Intention to become a United States citizen in 1939. His career kept him on the move and, for whatever reason, he never completed the process. At the time of the April fifth enumeration of the 1940 U.S. Census, Fitzgerald was living in New York at 375 West 45th Street in Manhattan. He was earning about $5,000 a year and paying rent of $65 a month. From January 16, 1940 to April 13, 1940, he portrayed Captain Jack Boyle in “Juno and the Paycock” at the Mansfield Theatre, 256 W. 47th Street. Fitzgerald’s ancestor search shows that his line in the family tree didn’t grow past him: He never married and he left no known children. Yet, we get to go back to the Irish genealogy trail because in 1959, he returned to Ireland and died there in January of 1961. His funeral was at St. Patrick’s Protestant Church of Ireland Cathedral in Dublin. He is buried in Deansgrange Cemetery, Blackrock, County Dublin with the name William Shields on his tombstone. On this St. Patrick’s Day, I’ll drink a toast to Barry Fitzgerald. If you haven’t found that pot o’ gold yet doing Irish genealogy research, call the expert Irish genealogists at RecordClick. We have ideas for finding that long lost ancestor and will help you with your Irish genealogy.